3D printing holds great promises and threats for aviation. It could be the best of times. It could be the worst of times. It could be a golden age of design and engineering, freed from traditional constraints of manufacture. Or it could be a dark age of competing technical standards and plagues of bogus parts, indistinguishable from legitimate ones until they fail. 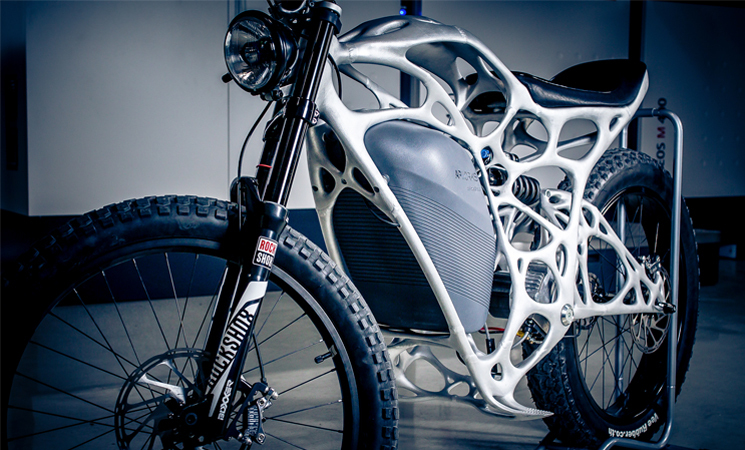 Either way, 3D printing is coming—and it is going to be revolutionary. Three-dimensional printing, or additive manufacturing, was first developed in the 1980s, and was commercialised as rapid prototyping by the 1990s. Early systems used ultraviolet lasers to harden polymers, and could create intricate but not particularly strong or durable plastic objects. These were useful for demonstrating the size, fit and appearance of components, but in most cases were not functional. By the early 21st century, the technology had evolved into printing of metal components from heated metallic powder or grains. Increases in computing power and memory allowed more complex forms to be printed. ‘The technology has evolved from a prototyping technology into a low-volume manufacturing technology,’ says high-performance metals director at the Commonwealth Scientific and Industrial Research Organisation (CSIRO), John Barnes. Now the Boeing 787 Dreamliner uses 30 separate 3D-printed parts, and in March 2014, the first 3D-printed replacement component—a small plastic crew seat panel—flew on an Airbus: an A310 operated by Canadian carrier Air Transat. The Airbus A350 XWB aircraft also uses a variety of 3D-printed plastic and metal brackets. One metal bracket, formerly a milled part made of aluminium on previous Airbus types, is now a printed part made of titanium with a weight reduction of more than 30 per cent. Engine maker, General Electric, uses 3D printers to produce 1000 jet engine fuel nozzles a year for its new LEAP engine. GE expects to be making 40,000 nozzles a year by the end of the decade. The 3D-printed nozzle is made as one piece, replacing a 20-piece design made using conventional methods. The reality is 3D printing has arrived. ‘GE alone has 600 engineers working in the area,’ says CASA senior researcher in advanced technologies, Dr Stephen Turner. There are two material types, three material transformations and three printing methods in 3D printing. Materials can be liquid or solid; and printing can take place by solidifying liquid material, or by sintering, or by melting solid material. The material can be built up from a bed, or pool, or injected from a moving printing head. This laser engineered net shaping (LENS) method is similar in principle to a dessert chef’s icing bag. It can be used as part of a process known as hybrid manufacturing, where a conventionally made component can be finished, or have additional features added, using 3D printing. Sintering and melting can be done by laser beam, in methods known as selective laser sintering and selective laser melting. Using an electron beam to melt the metal feedstock is a recent technique that shows promise in printing strong void-free metal parts. An additional complication is that to avoid oxidation at high temperatures, certain metal parts have to be printed in a vacuum or surrounded by inert gas. Despite this, 3D printing is still a cost-effective technique for small runs of complex components. CSIRO expert, Barnes, says 3D printing will inevitably become cheaper, although he is sceptical about whether it will decentralise manufacturing in the way that computer printers have made every household potentially their own printing house. He predicts a ‘service bureau model’ of 3D printing specialists who hire out their machines by the hour or by the piece. ‘Early machines were versatile, experimental, but you’re now seeing production machines optimised only for one material, designed to be used 24/7. It’s becoming inherently more efficient,’ he says. C-17 production finished in 2014, with 279 made by McDonnell Douglas and Boeing. Barnes sees 3D printing as a cost-effective alternative to conventional tooling. Although 3D printing does not promise the incredible price drops of technologies such as microelectronics, it is much cheaper than conventional tooling when production runs are small. It also has the advantage of flexibility. Like Barnes, he cautions that 3D printing is not yet the mythical low-cost cornucopia from which every imaginable good will flow for minimal cost—and may never be. But he says the cost trend is unambiguously downwards, particularly for metal-fed printers. The other fundamental advantage is in wastage: what manufacturing engineers call the build-to-fly ratio. It is 3D printing’s major advantage over the rival technique of computer-numerical-control machining (CNC). ‘Don’t forget—90 per cent of material is machined away from a billet of titanium into chips,’ Gibson says. Airbus expert, Sander, says rapid turnaround is an advantage that makes 3D printing ideal for spare parts manufacture. Instead of a warehouse full of parts, the ultimate solution might be a shop full of machines, with blueprints stored electronically. Sander says the lead time for such a part can be as little as one day, if the component is based on an existing design, while redesigned parts can be produced in fewer than two weeks. Gibson says 3D printing has one aspect in common with another recent aerospace technology, composite construction—it can add strength to a component where its needs, and reduce weight in areas where strength is less important than lightness. ‘With 3D printing you have the capacity to put material where you need it and leave it out where you don’t need it,’ he says. ‘That is what we call topology optimisation. CASA researcher, Dr Turner, looks further ahead, to mid-century, when he predicts 3D printing will mean design engineers will no longer be bound by traditional design and materials but will be able to replicate their imagination—or nature itself. He and other researchers have linked 3D printing to the engineering concept of biomimetics, the mimicking of nature. 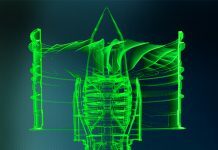 This could mean airframes based on topologically optimised structures resembling animal skeletons, perhaps combining the strength and weight of bird skeletons. Such an aircraft might superficially resemble the shapes of today, but at a microscopic level, its structure would mimic that of bone, or even feathers. Future coatings or connections might use 3D-printed fibres with the strength-weight ratio of spider silk, raising the possibility of self-repairing aircraft. ‘Over the long term, the themes will be democratising manufacturing and humanising design,’ Turner says. 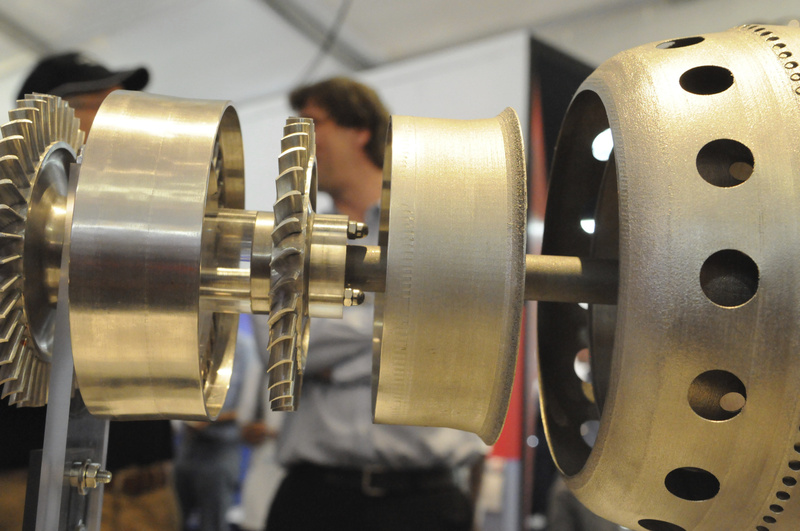 Melbourne 3D printing specialist Amaero along with Monash University, Deakin University and CSIRO, caused a sensation at the 2015 Australian International Air Show when they revealed their ‘3D-printed jet engine’. The engine was in fact a small auxiliary power unit—not capable of powering a commercial aircraft—and by no means assured of not melting if started, but still a remarkable achievement. Amaero scanned and copied a Microturbo (Safran) APU from a Falcon 20 business jet. Amaero’s business development manager, Ben Batagol, described the engine as a proof-of-concept design highlighting the manufacturing advantages of 3D printing. But Turner’s research brief, as a member of a safety organisation, was also to investigate potential problems with 3D printing. He discovered enough to make him concerned. ‘3D printing has the potential to make this problem much worse,’ Turner says. The issue is that temptation runs ahead of the technology, he argues. Barnes says carelessly 3D-printed titanium parts can build in residual stresses during their manufacture; and Gibson worries how most 3D printing technologies recycle their raw materials. ‘What that doesn’t take into consideration is the degradation that takes place as raw materials are reused. Even though they are not used in the part they’ve still gone through the process. They therefore may not necessarily be exactly the same as a virgin material,’ he says. Gibson foresees an aerospace standard for 3D printing, with aerospace-grade printers certified to higher standards than domestic or light industrial printers. He also foresees stringent testing. ‘Within aerospace you would have to do test coupons on every build,’ he says. 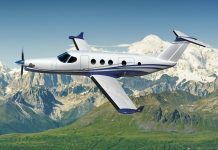 The consensus of experts appears to be that aerospace quality requirements and associated costs will still need to be applied to 3D-printed components, somewhat reducing their inherent price advantage. But as technology develops, so will the inherent advantages of printing components. The need is for regulators to be aware of developments in new technology, including 3D printing,’ says Dr Turner. ‘We need to enable the good and proscribe the bad.